An Aberdeen businesswoman is to be extradited to Italy to serve a prison sentence for armed robbery after losing an appeal. Dorothy Fasola will be returned to the custody of the Italian authorities after three appeal court judges upheld an earlier sheriff's ruling. She will soon leave Scotland to begin a jail term of just under five years. The 59-year old was found guilty in Milan in 1998 of charges including armed robbery and counterfeiting. A sheriff had ruled Fasola should be turned over to Italian authorities to serve the prison sentence after she was convicted. Fasola appealed against the ruling but the process stalled when one of the judges died before giving a decision. She was released on bail but was then jailed again until three new judges gave their ruling. Fasola's appeal was heard at the Court of Criminal Appeal in Edinburgh. Defence counsel Edward Targowski QC told the hearing Fasola had documents showing the Italian authorities had known where she was since 2001 but delayed coming after her. He said the Italian authorities, knowing Fasola's address in Aberdeen, had allowed her to carry on with her life and build up her business for years before making moves to extradite her. But Ruth Crawford, QC for the Crown, argued that Fasola always knew she faced possible extradition. 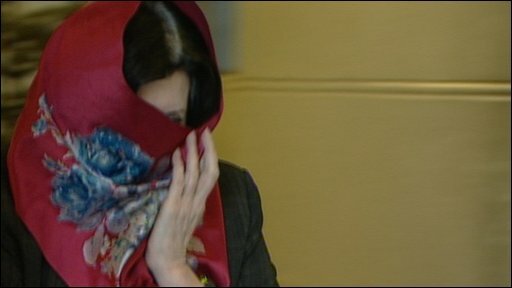 Fasola was sentenced in 1998 by a court in Milan after being found guilty of helping to set up an armed robbery seven years earlier, but fled to Scotland in 1999 while appealing against her conviction. She has also been convicted twice, in 1995 and 2001, of counterfeiting currency and still has almost six-and-a-half years to serve for those offences. Fasola first came to public attention in Scotland in July 2004 when Grampian Police officers raided her house in the city. They were helping police in Japan investigating the theft of jewellery worth more than £20m. Fasola, who runs a business exporting seafood, has always denied any involvement. The appeal decision, delivered by Lord Nimmo Smith, stated: "The appellant left Italy in 1999. She claims in her affidavit that she did so for reasons connected to her daughter's education in Scotland; but it is difficult to conclude that she was not also motivated by a desire to avoid serving her sentence following the 1998 conviction. "The appellant also states that she has no friends or family in Italy, which would make it an additional hardship for her to serve a sentence there. "Finally, she questions the motives of the Italian authorities. She is apparently suspected by the police in Tokyo of an involvement in a robbery there, and fears extradition from Italy to Japan." The ruling continued: "No doubt the appellant has hoped that the Italian authorities would not seek her extradition to Italy, and that hope may have increased as time has gone by, but she has never had reason to believe that the Italian authorities had dropped the matter. "We are satisfied that the sheriff correctly decided that the appellant's extradition was not barred by reason of the passage of time. This appeal is accordingly refused."